This random 5 from Karla officially is Tinsel Toe Edition. 1. What song are you grooving to these days? 2. If YOU were a room in your home, what would it be, and why? Currently I'm in housing transition, but like many people, I fantasize about that almost ideal playroom-workspace. I'll have my iMac and some books there, and also add a super-comfy sofa for sitting, lounging, visiting, and cats. Walls painted 4 different light colours, lots of random posters and other fun stuff splashed across the walls. There's gotta be a big window for the sun to shine on on sunny days, for enjoying the clouds and rain on days like this one. 3. What ever happened to LipSmackers? Does anyone remember that lip balm from the 70’s? Do you have a recommendation for a really awesome lip balm? 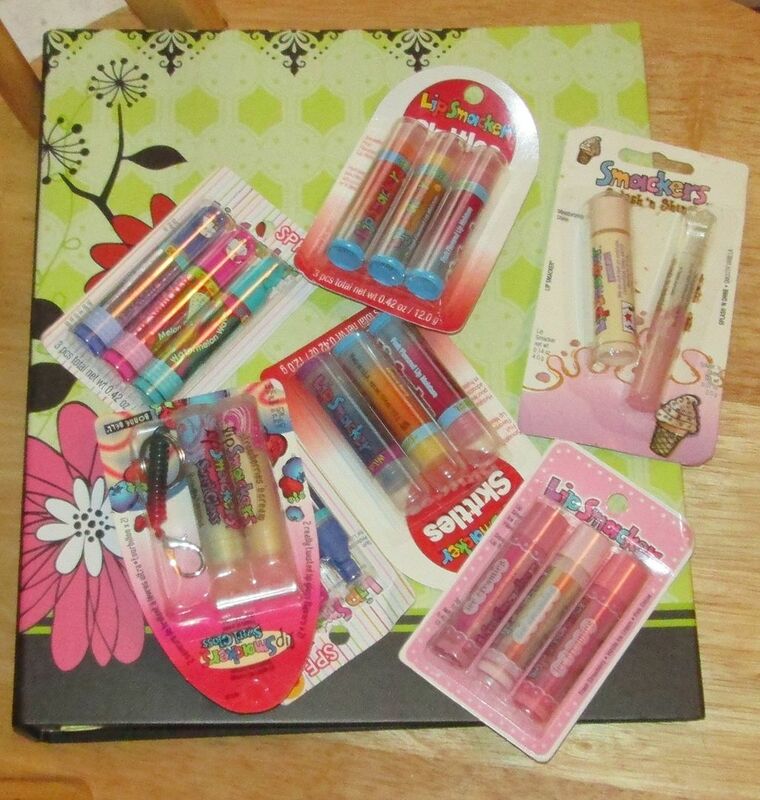 I still use Bonne Bell LipSmackers, in all their awesome hues and scents and flavors! A couple in my purse, and a couple at strategic spots around the house. Officially you still can get them at Tar-Jay, Wally World, etc. or online at the Color and Flavor Shop. A few years ago I started finding them at the 99.999¢ only store, sometimes even 2-packs or 3 packs, so I have a constant stash. 4. Tell us about a tiny (or HUGE) grace moment from this week. After yet another strong signal I need to leave this geographical area since it clearly amounts to being in remote rural nowhere in terms of the opps I need, someone local actually emailed me and asked for a poster and bulletin cover design for an upcoming Blue Christmas! 5. If you could just have any treat/snack in the world right now, what it would be and with whom would you share it? How about some succulent, multi-ingredient, savory, spicy, stacked to the ceiling nachos? Sharing with the world, of course! LOL, probably the bedroom. Firstly, because I spend so much time sleeping! :D Also, because ideally the bedroom should be warm, comfortable, cozy, and welcoming. A great place to relax and be yourself! They still make them, and I still use them!! I LOVE the bubblegum flavor. EOS makes some cool lip balms, too. They come in egg-shaped containers, and when you open them up, the lip balm is a sphere inside. It's very easy to quickly apply to top and bottom lips, and I'm especially fond of the lemon (which also has sunscreen!). Hey! Thanks for the tip on the lip smackers!!! Also, congrats on the Blue Mountain gig. You are a gifted artist. I love your playlist, too, and am going to seek out some of the tunes I don't have!